STILL GOT FLEAS?? GET ADVICE!! Fleas are present but you are using flea control products. What’s going on? 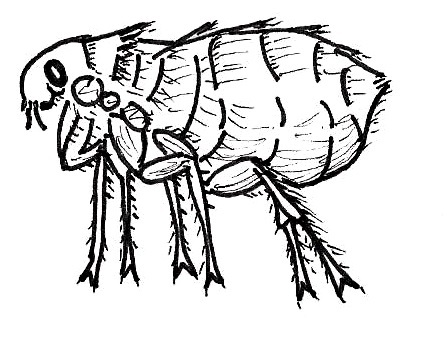 See our other “Got Fleas” information sheet to help review the flea battleground basics. Fleas need to be on your pets to be killed and they are not killed instantly. Seeing an occasional flea may not always be a problem. 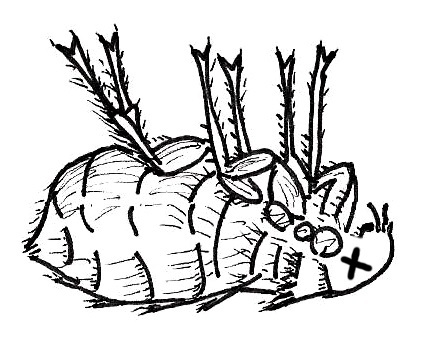 Most products kill fleas more slowly toward the end of the application interval so more fleas may be seen right before the next dose is given. Early on in a flea battle (first 1-3 months) flea sightings are to be expected as the bulk of the juvenile fleas mature into adults jumping onto your pets. However, adult fleas (and the amount of flea dirt they produce) should steadily decrease. It is also possible that fleas are not being killed adequately during the dosing interval allowing them to feed, produce flea dirt, and lay eggs at some ongoing level. This can be due to insufficient weapon use or a weapon that is not as effective as it needs to be. Are you treating all pets in your home whether they go outside or not? Are you using product(s) that meets the criteria for number, speed, and duration of adult flea kill (see “Got Fleas”) and can break the flea life cycle? Are you using the product(s) according to directions (application technique, frequency, dosage)? 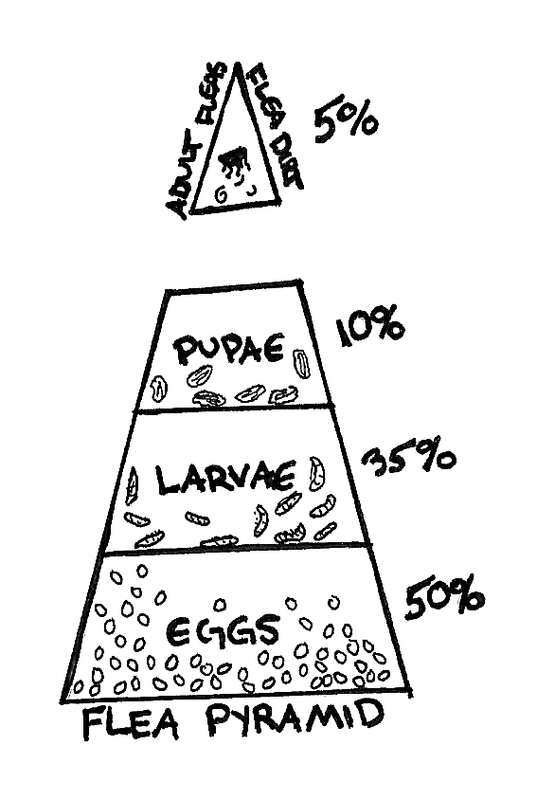 Have you been using it long enough to expect any initial surge in hatching flea numbers to have passed? 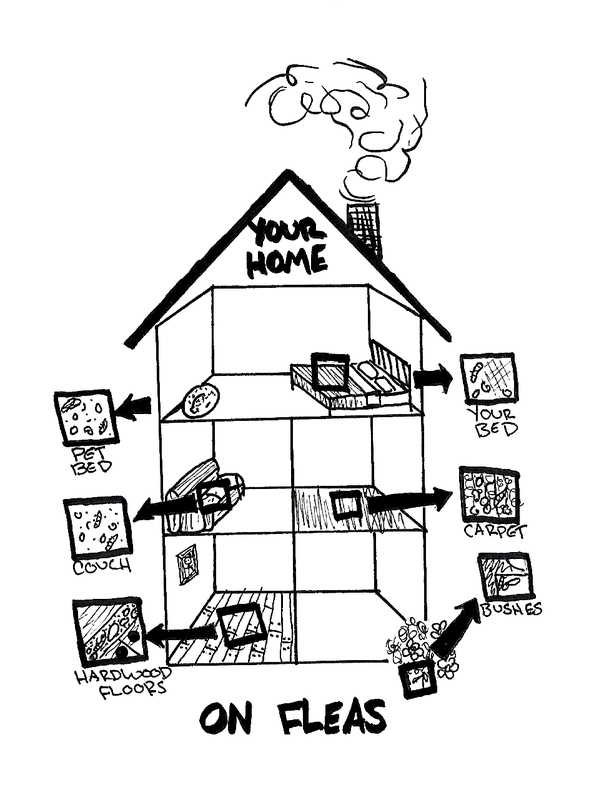 Are you adequately treating environmental hot spots (see below)? Have you located flea hotspots which are the places your pets spend the most time sleeping, hiding, and playing (think in and around pet beds, your bed, the couch, cat condos, basements, etc.)? They are where flea eggs accumulate. Are you vacuuming frequently, especially the hotspots? Are you paying attention to both carpeted (using a vacuum with a beater bar) and uncarpeted surfaces (cracks and crevices hide fleas) and in/around/under furniture? Are you correctly disposing what you vacuum up (outside is best) since unhatched or hatched fleas could be present? Are you laundering hotspot bedding regularly with plenty of hot water? If your pets spend time outside in good flea-breeding areas (not too dry or hot) like under a deck or in a crawl space, a dog house, a car, or even a regular spot under a bush, are you using an environmental spray and/or restricting access? Are you keeping stray and wild animals away (fleas may have come from them initially)? Experts tell us there are different flea populations that can be harder to kill with one product or another; they are not completely resistant but the product just doesn’t work well enough at the end of its dosing interval. in severe cases adding a second monthly product and alternating it’s use with the original product every 2 weeks.